We have four deals in total today which are aimed towards gamers and Chrome OS enthusiasts. Hop right in if you don’t want to miss these deals. Deals on PCs and accessories are easy to come by these days, but these from Amazon are aimed towards those who want the best in the business without busting their wallets. 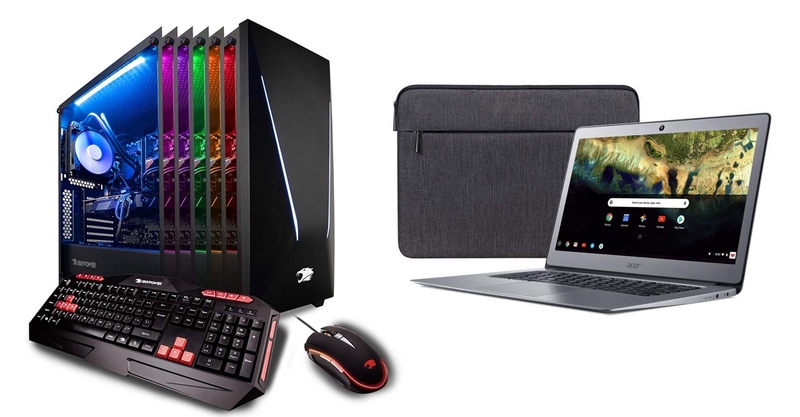 There are four deals in total: two on gaming PCs, one on an Acer Chrome OS notebook and one on a Samsung 27-inch gaming monitor. All of these products are discounted from 18 to 29%, ensuring you save quite a bit of money in the process. Remember, these deals will lost today only. If you want to bag them up, you have to do it right away or within a few hours before they expire. Personally, I would suggest picking up the 27-inch panel from Samsung, as it represents great value for money.